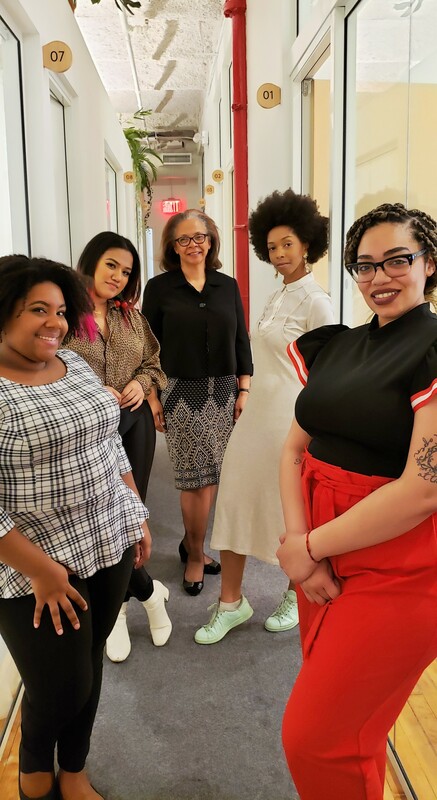 For some of us, our non-influencer work-lives are just a stepping stone towards something larger, like creating our own fashion lines or other such entrepreneurial ventures so I asked HR consultant, Brooke of Madame Finehouse and Brenda Jones, CEO of BCJ Integrated Strategies to be our moderators for the evening. With them as our experts, we spent the evening in open conversation about resumes, job hunting, personal branding, business plans and the like. 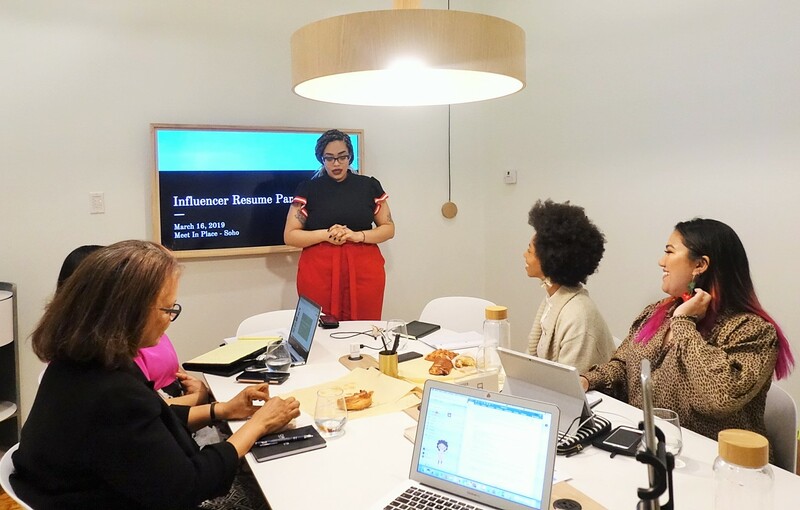 While our discussion was geared to our specific influencer situation, I’ve highlighted 5 things below that came up in our discussion that can be useful for boss babes of all backgrounds. 1. Job listing sites are not your friend! Much like Wikipedia, this is a sites like Indeed.com are full of great information but should be used more as a point of reference above anything else. This is mostly because recruiters apparently only see very limited information should you apply through this platform. Conduct your search for open positions on Indeed but be sure to follow up by applying from the company site directly to ensure that your information makes it to the right people and hopefully lead to an interview. That being said, if a listed opportunity on any job site looks suspicious, it probably is. Research everything you can before applying. 2. Cover letters should NOT just be your resume in narrative form. While most recruiters and hiring managers actually do not read these, it is still not a step that one shouldn’t completely ignore when applying for any position. In 5 paragraphs (or less) you should bridge the gap between your own skills and what the employer is looking for without just restating what’s on your resume. This is the space where you show initiative and that you did your research on your potential employer and the position you applied for. This shows that you are more than capable of handing the position as well as what you plan to bring to the table should you be hired. 3. Keep your resume brief but go into detail on LinkedIn. So here’s something that most people find horrifying when I show them – my resume is a full 3 pages long. It used to be 4 but after a while I felt that was a bit “too much” so I cut somethings out. And yes, I’m totally aware that this fact breaks the one commandment for resumes being, “Thou shall keep thy resume at two pages maximum” but I’ve had the opportunity to work in many different roles that has given me a wide range of experience so I find it a little hard to leave anything out. To help with brevity, you should only list a few bullet points for each job you include on your resume, but don’t worry. You can provide further details on your LinkedIn profile as there is no limit to what you can share there. It goes without saying that if you don’t have one already, create a LinkedIn account and make sure to include your profile url on your resume along with the rest of your contact information so that the recruiter can look up. 4. Job interviews are meant for both parties involved. Up until the time I was in graduate school, I assumed that job interviews were just anxiety inducing in-person meetings where you’re primary goal is to sell yourself as the best person for the job you applied for. You need the right outfit, shoes and every answer to each question asked must be carefully crafted so that the potential employer sees your worth, otherwise you may lose your chance of getting the role. Admittedly this is a major part of this process however, the interviewing process is also meant to inform you as well. This is your chance to ask about the things you want to know about the company, your potential future manager, available benefits, health insurance, growth opportunities, how success is measured in the role you’re applying for, etc etc. This is information will let you know if the company is a right fit for you. After as much as you want to have job it should also be one that you would like doing. 5. Don’t be afraid to take chances and make the best of what you’re given. “Women apply for jobs they know they can do, men apply for jobs they think they can do.” This is something that has stuck with me for over the last year since I first heard it at a workshop for women entrepreneurs of color. Honestly this is something I feel that many of us as women have never given much thought yet often times this unspoken act is what keeps us limiting ourselves and second guessing our abilities to the point that we could end up missing out on a lot. Job hunting as well as navigating the corporate world is not without its difficulties but the best thing to do is to find power in those difficult situations. Is there a social media position open at company that you’d love to work with but you’re not too familiar with things like how to measure social impressions? Do some research, take class but make sure you learn what you need. Need some guidance as to how to navigate your career path now that you’ve decided to change from one industry to another? Ask someone for guidance. Anything is attainable as long as you push for it with the right support group that can help you get there. Serious business women slaying together. Whether or not you’re actively job hunting, its always good to update your resume as often as possible. (I learned this the hard way when I was laid off back in the winter of 2015.) 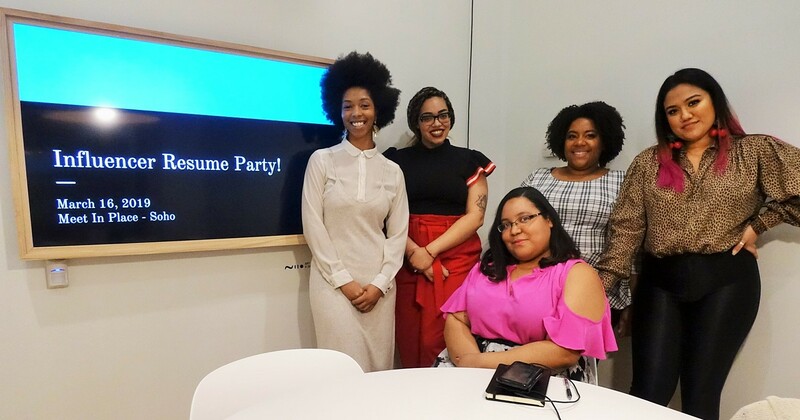 The six of us at the very start of our resume party were in different stages when it came to our job hunting methods and resume formatting yet we left very well informed as to what we need to work on next. In fact, thanks to what I learned at this resume party, I now actually have two distinct updated resumes saved on my flash-drive ready for future use. Taking the time to meet up to openly discuss our goals and ambitions career-wise was something entirely different for all of us and so clearly worth it. So much so that the consensus by the end was that we should have a follow up very soon. I’m already looking forward to it. Special thanks to the team at Meet in Place for their amazing hospitality and for sponsoring this post. 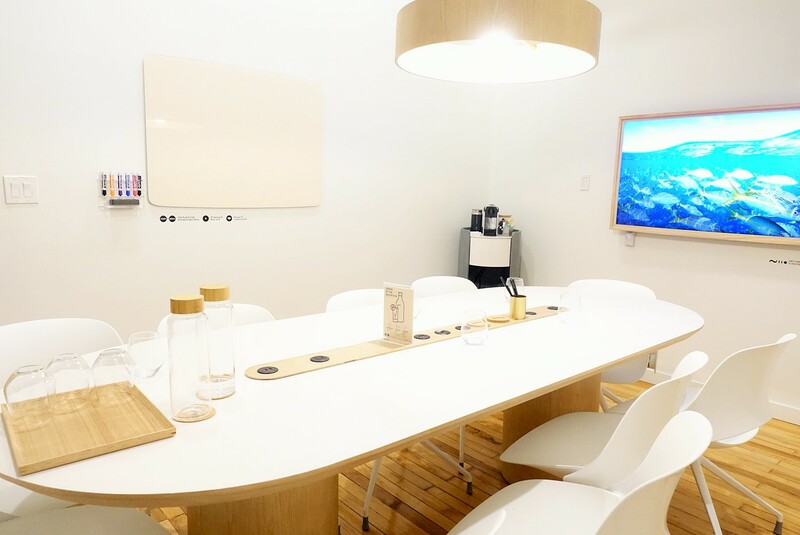 If you haven’t heard about Meet in Place it is a boutique on-demand multi-meeting room venue that offers uninterrupted, private, fully serviced meeting spaces, at relatively low costs. They have a range of rooms of different sizes to choose from, including the traditional formal conference rooms (one of which we had the pleasure of using) to the more informal lounges. 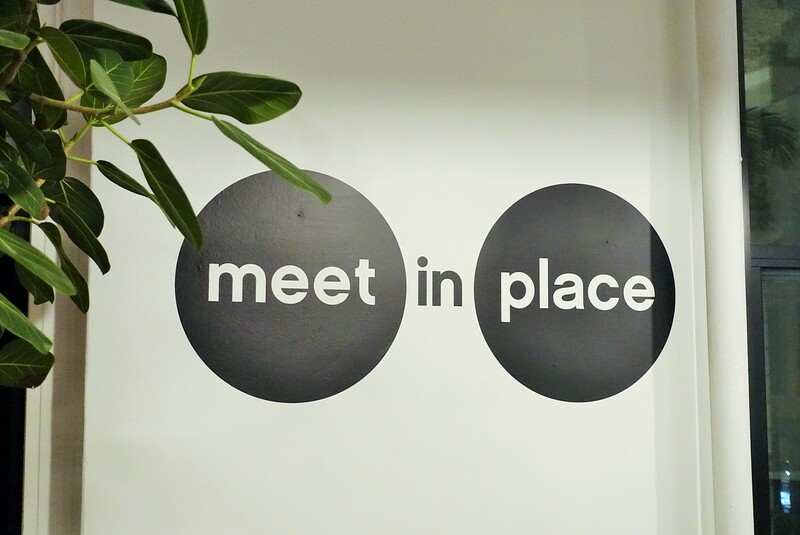 Meet in Place provides a full-service space providing connections with their partners for any catering needs you may have as well as including complimentary still & sparkling water with each booking. They even have a coffee machine in the rooms with you! The rooms are equipped with state-of-the-art technology complete with high-speed WiFi and 4k television screens in which to display presentations. I was able to cast my PowerPoint straight from my phone without the need of an HDMI cable While Meet in Place is used primarily by companies, I still highly recommend booking a room with them if you’re a freelancer or up-and-coming entrepreneur. No membership is required to work with them and you can book up to 30 minutes in advance for a minimum of an hour to a few days. 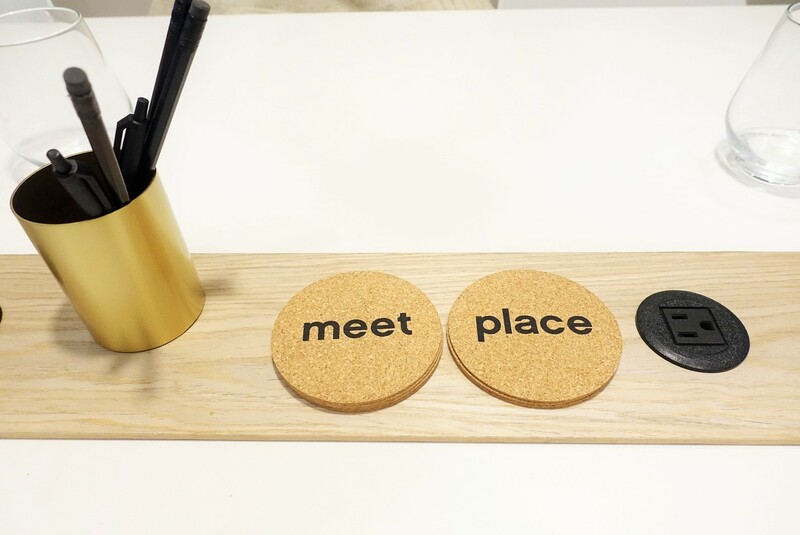 Moreover, Meet in Place is also an international company, with locations in NYC, London and Tel Aviv so if you’re someone who travels to these specific places to meet clients, they got you covered. We greatly enjoyed the high-end level boutique atmosphere that is both professional and Instagram worthy so I know that we will be booking another room very soon. Disclaimer: This post was sponsored by Meet in Place. Access to their facilities and amenities was provided for feature but all opinions are my own.